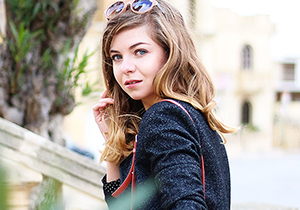 It’s been a while since I’ve posted an outfit post, but we have been having an awful weather in Malta these past few days. It looked like Brittany in March. 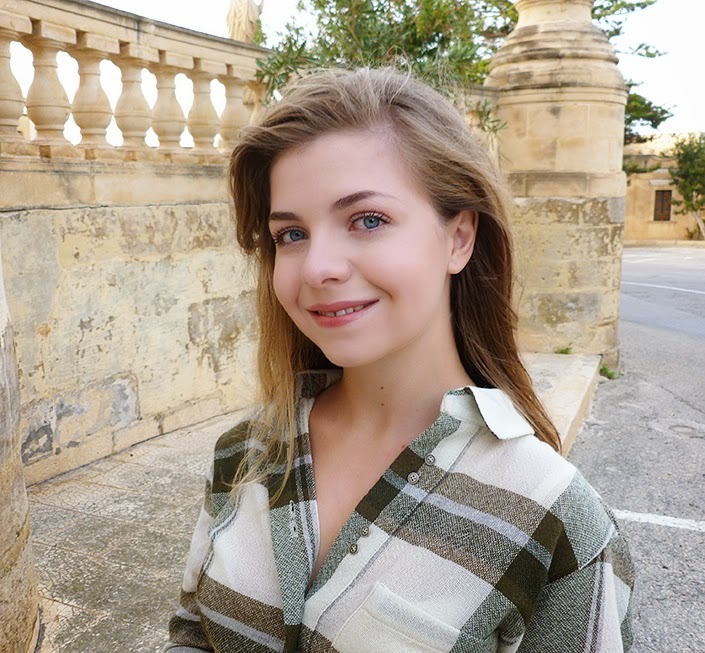 Therefore, I felt like rolling myself in a blanket, my computer on my laps and some hot chocolate near me, rather than strutting around in the rainy streets of Gozo. Hope you don’t mind… One day, I will stop playing the weather forecast lady in my outfit posts, but I’m afraid this day hasn’t arrived yet. 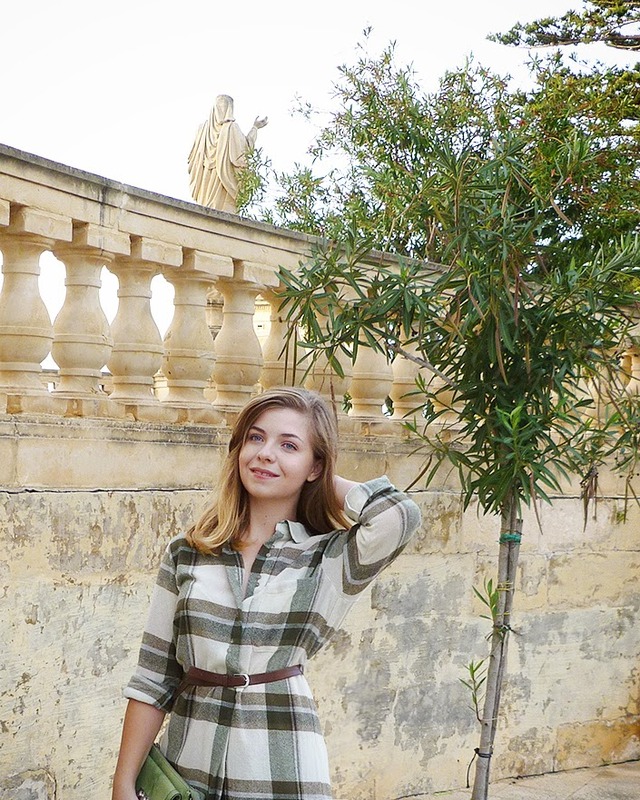 Regarding my outfit, I received this little plaid dress in a package sent by Gleb’s mother a few weeks ago. 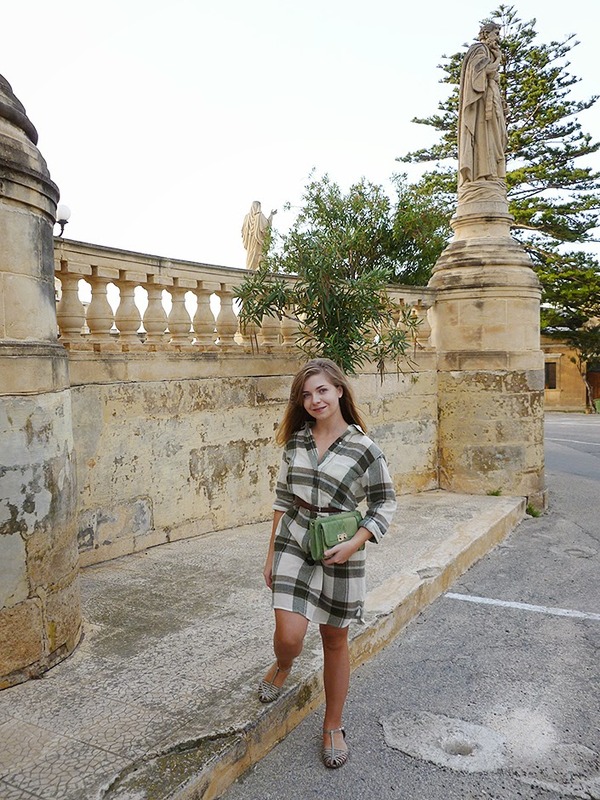 This is probably not a piece I would have bought myself, so I’m really glad I received it as a gift because I really like it : perfect for the maltese autumn, this is a light dress, yet warm enough to wear at night or on a windy day like today. 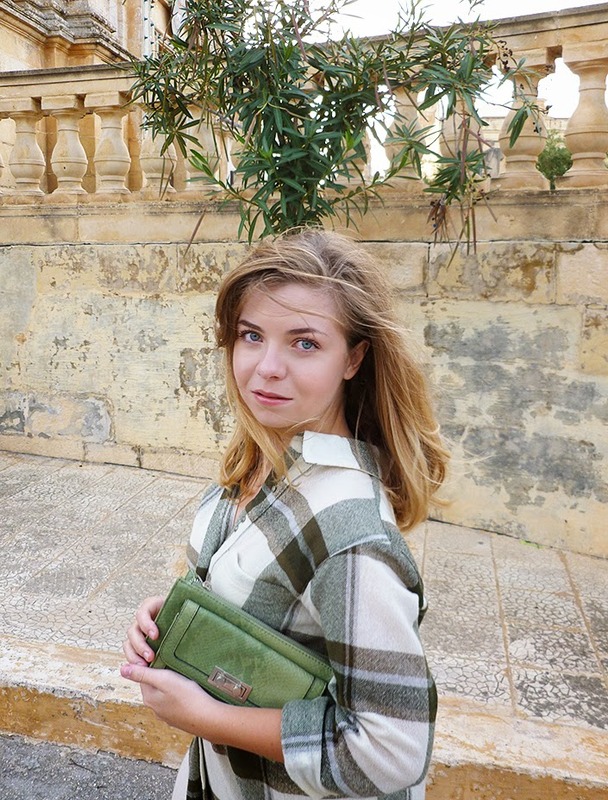 A plaid print, some autumnal tones, a loose cut and a really comfy fabric… This has become my go to outfit when I don’t know how to dress and when I want to keep things simple without looking sloppy. Everything I love !